Hi Everyone - Its been a busy few months. From Hong Kong to Holland to Germany to Switzerland to Tahiti to England - My body was pretty confused which time zone I was in when I finally had time to stop and have a rest! In March I was lucky enough to play tour Mama for Psychedelic rock band 'Crook and the Bluff' - Pairing Utah with New Zealand for another European tour - it was great to be part of their European adventures. Stoked to see Jordan and his band again for tour #3. Above is a pic of Crook and the Bluff, Jordan Matthew Young, Catherine Davis and of course me - the token kiwi. 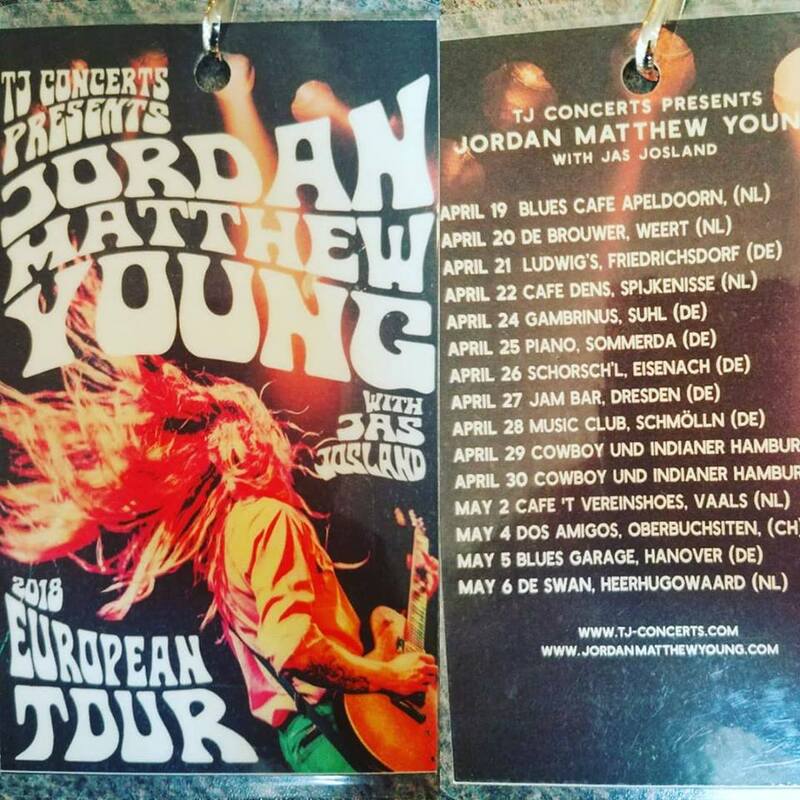 Presented by TJ Concerts - we started in Holland and traveled through Germany and Switzerland for a three week tour. It was nice to see lots of familiar faces along the way - as well as perform at some fantastic new venues. Its always interesting transforming from the full band to the solo show - but I really enjoy the challenge of creating live loops. These Lanyards always save me on tour. (Especially trying to pronounce some of town names) Sometimes we are lucky enough to have a few hours to explore the town before the gig - but often its just the inside of venues and hotels that we see. Below is a pic of us having a quick bowl before the gig - Ludwigs in Friedersdorf had an alley just beside the venue as well as an amazing authentic crowd and lovely owner. We were lucky enough to have photographer Catherine Davis on tour with us that took some amazing pics. You can see all her work here. We were made to feel so special at every music venue on tour. One of the highlights was definitely playing at the Blues Garage in Germany - As well as staying at the coolest authentic 'Motel California' oozing from Head to Toe with Rock n Roll goodness. Blues Garage from the second you walked in radiated an aura of real Soul and Blues from head to toe.